A question that has only one answer and writes a story that ends in a satisfying ‘high-five’! 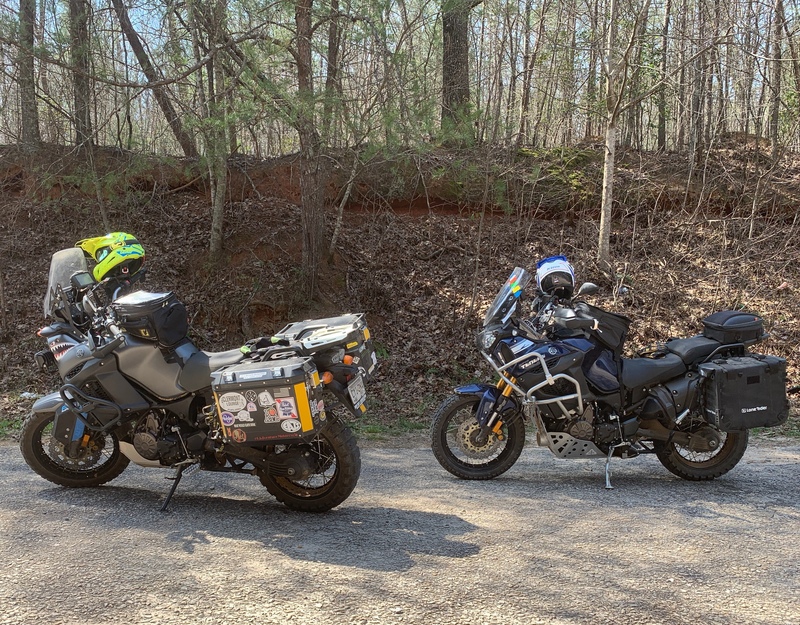 A ride through the Chattahoochee Forest with fellow Super Tenere Rider and friend, Huckleberry. Nice clip Fast mode although speed is around 2omph.Nice woody forest nd deep ravine on left.Good dirt road well maintained although a boulder scary on the road.Good break with a friend.